It’s one of Australia’s biggest music events, and you can take your listeners direct to the action. This September the Mildura Country Music Festival turns 29, and national coverage through the Community Radio Network will include breakfast from the studios of HOTFM, special overnight broadcasts, and live coverage from the Southern Stars Awards. To find out more we caught up with: Good Morning Country’s Kevin Walsh; HOTFM founder and country music broadcaster Max Thorburn; current HOTFM manager Bernard Denner; and HOTFM country music broadcaster Kate Jansen. Tamworth is Australia’s best-known country music festival but Mildura is right up there. What gives it a unique flavour? Max (pictured right): The artists who appear are all independent. They don’t have a record or distribution deal with a major record/publishing company. That means artists on the way up are eligible to apply, and later, after their time on a major deal expires, they become eligible again. And all shows are free. The free shows idea was devised to encourage patrons to buy artists’ albums (one of the criteria to appear is to have new album product for sale). Give us a couple of personal highlights from the festival over the years? Max: We were the first to develop the Festival Radio concept (Tamworth followed us a year later) using new legislation which allowed temporary broadcast permits. It was so popular it actually took the listeners away from HOTFM that year, so I changed it to only play artists who were at the festival. Also, in my last year as co-ordinator we had a 15-year reunion with the local acts who played at the first ever festival. The current committee are going to do another reunion next year at the 30th anniversary. It will be big. Along with Good Morning Country’s breakfast broadcasts from Hot FM’s studios in Mildura, you’re going to be hosting live overnight radio as well. What makes you deadset keen to broadcast live through the wee hours? Max: A lot of people work at night or are awake at night. They are far happier to know it’s not a computer talking but real live broadcasters, and they can call us or send a message. There are very few all-night live radio programs left in Australia. For the week of the festival [Good Morning Country’s] Walshy and I will do a live show and link a lot of the music to the festival itself, and social media. Most of the audience is regional and both of us are regional-based. We can talk the country/regional talk. Walshy: Listeners who aren’t able to make the trip to Mildura deserve to hear all that is a part of this festival, and we’ve had really great feedback from country music fans about our overnight coverage in past years. Max: Walshy is picking the music, I get to interview a lot of the artists and we try and talk about things which are not all about their music, but about them and their lives. I’m a life member of the Sunraysia Community Radio Association [HOTFM]. I was manager for 23 years and I am happy that the new board and Bernard Denner are gracious enough to let me return and do some overnight broadcasting for the festival week. Walshy: There will be a nightly review of the festival along with a preview of the following day’s highlights. And this year we will have a nightly feature album which will be given away each night. We hope to have lots of calls from the listeners out there. Max: Call the hotline 02 96 99 88 45 during the program. Or message “Max Thorburn Mildura” on Facebook. We’d like to know which community station you’re listening to us on. What message would you like to send to stations that are considering taking the live coverage through CRN this year? Max: Be part of it! Get one of your presenters to give us a call and tell us when their own programs are on - we can talk about that briefly too. It’s a celebration of country music across Australia. The Southern Stars Awards on Saturday 3 October will be a big night. What have you got planned for the broadcast? Walshy: Live from The Mercy Theatre Mildura, the broadcast will be hosted by me and my Good Morning Country stablemates Rod Thomas and Mike Stewart. We’ll be previewing the on-stage entertainment from 17:30 to 18:00 EST, then crossing for uninterrupted live coverage from the main stage till approximately 20:00 EST. After that it’s back to the panel and interviews with all the winners on the night. The broadcast will finish at 21:00 EST. Kate (pictured left): I’ve been with Hot FM since 2008, starting off as a ‘rookie’ country music presenter. Max Thorburn threw me into it all, and mentored me particularly in contemporary music and independent artists. He also chucked me in to either sink or swim – it’s the kind of tuition I guess I needed. As always, all good things change and even become better. I had the privilege of witnessing the old HOTFM transform into the new HOTFM with Bernard Denner at the helm. And, this is where it gets weird - I end up running country music for the station. Country music is so extensive and ever-changing, I’m always learning. This year I’ll be joined by country music artists as co-presenters for my afternoon shows during the festival. That includes finalist Becci Nethery – but if any other artists are reading this and interested in being a co-host they should get in touch with me at HOTFM. Bernard: Kate has a real laidback approach to artists, and her interviews tell a story of the artists’ music. Tell us a bit more about HOTFM? What have been the highlights of the last couple of years, and what are the plans for the future? Bernard: HOTFM Community Radio has re-invented itself over last 3 years. We have completely renovated our three studios with not only new technology but also a new ‘corporate’ look, using our logo colours for each studio desk. 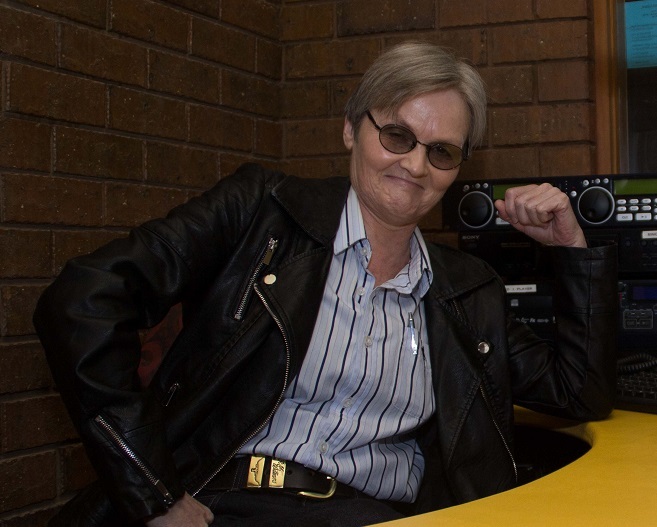 We now have 35 local presenters producing over 115 hours a week of local radio and local content. We have new Breakfast and Drive teams with emphasis on a new young look both in music/content and presenters. But country music is still an important part of HOTFM with Kate providing over 25 hours of country music a week. 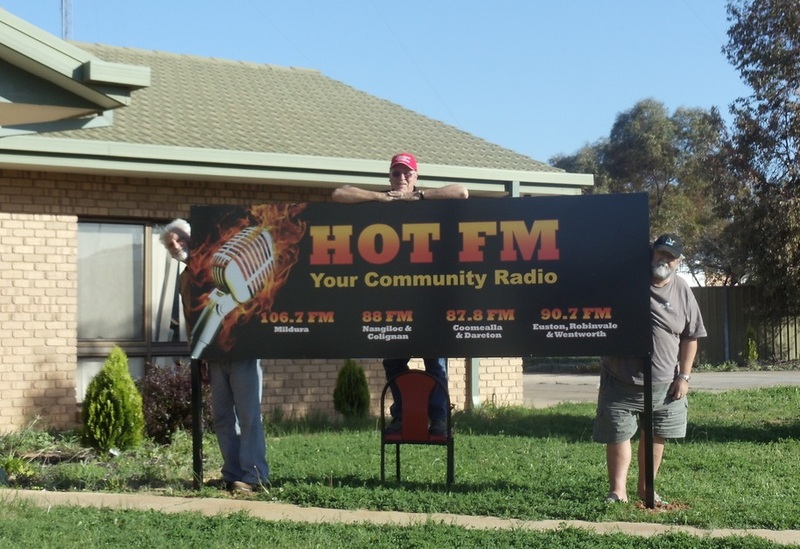 So come to the Mildura Country Music Festival and don’t forget to drop by HOTFM 106.7 and enjoy our hospitality, music and the Good Morning Country team on HOTFM every morning from 05:00 to 10:00 EST. Countryfolk Around Australia with Kylie Adams-Collier will be hosted from HOTFM on Sun 4/10, from 06:00 to 09:00 EST, joined by award winners in the studio. For more information contact CRN staff on 02 9310 2999 or email crn@cbaa.org.au. The Good Morning Country fellas hanging out at HOTFM, 2014. It's Australia's biggest festival of independent entertainers, and CRN will be bringing your listeners a fair old taste of the action! The Mildura Country Music Festival is turning 30 in 2016, and the Good Morning Country crew are getting ready for their annual trip down.